Tom Coyne makes me look like I’m a rational and sane individual. There have been numerous occasions where I’ve questioned the wisdom of taking on this Top 100 Quest, but any uncertainty I’ve had is but a grain of sand on a beach compared to the doubts that Tom must have felt during his chosen golf quest. 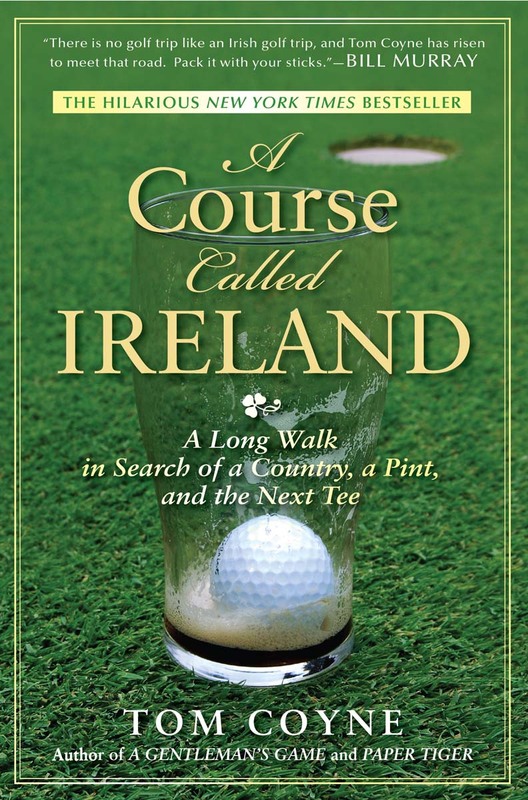 In the midst of a quasi-midlife crisis Coyne decided that what he needed to do was spend 16 weeks walking across Ireland and playing every seaside links hole that the country had to offer. Keep in mind that he is not just walking the golf courses, but also walking from one point to the next . . . for 16 weeks. Wow. The book covers darn near every step as Coyne shares the stories of his travels. From stray dog attacks to Guinness soaked tales of debauchery, all the stories are there and they range from frightening, to inspiring and some of them simply hilarious. A great read for any golfer!!! Thanks for the post Steve – I’ve added it to my wish list at Amazon and I’ll have to pick it up soon. Looks like a fun read. You seem to have these nailed, I’ll add it to the list.